Jules’ full name is Nyoma Abega Juliene Bienvenue. Born in Cameroon’s capital Yaounde in 1986, Jules was educated at École Publique de la Gendarmerie Mobile and then at the Government Technical and Practical School. A qualified technical electrician, he has played cricket since 2006, and became CWB’s Cameroon ambassador in May 2016. Jules was invited to take part in a cricket session by a friend in 2006. A relatively new sport in Cameroon, he was made welcome by the other players and developed a real passion for the game. A few years later, he was selected to participate to the NWACC (North West Africa Cricket Championship) in Nigeria, and never looked back, going on to represent Cameroon in the World Cricket League Div 3 T20 competitions in Ghana and South Africa. A competitive all-rounder, Jules is very involved in all things Cameroon cricket. 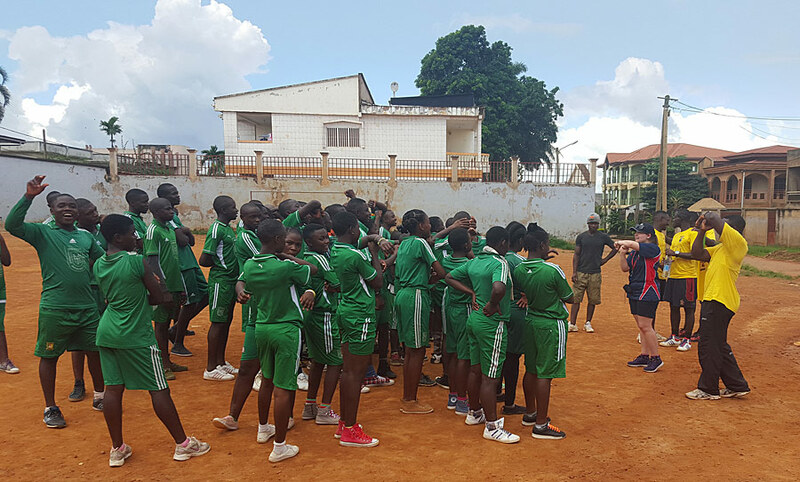 Jules’ CWB story starts at the same point as CWB’s Cameroon story – on the inaugural Cameroon trip he was invited by the Cameroon Cricket Federation to volunteer to assist the CWB project volunteers with their work in local schools and communities. 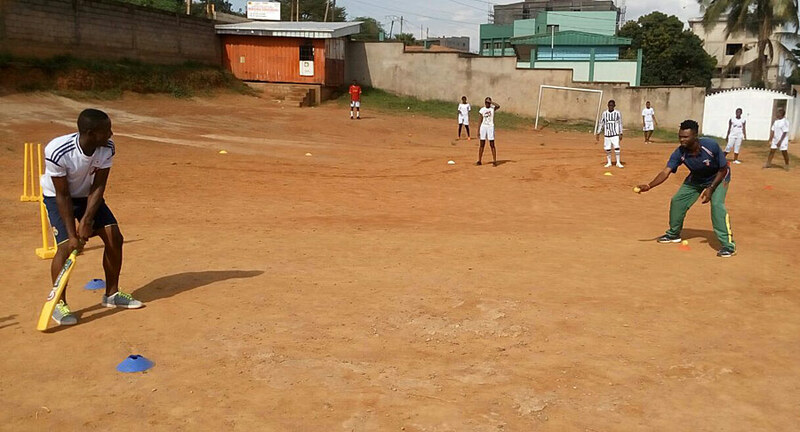 One of several players to take up this opportunity, Jules helped deliver sessions in the Yaounde-centre Region and Buea-South West Region, and subsequently continues to assist on further CWB projects in these areas. Jules’ balances the 20-hour-a-week coaching commitment of the Ambassador role with his work as an electrician. He delivers in 6 schools per week, delivering a range of cricket skills and incorporating HIV messaging. I do the job because I like working, and love cricket. What they do in Cameroon is fabulous and impressive coupled with the HIV-AID Awareness message. So, I am not only doing their job but it is an exchange because I am building myself with the knowledge they bring to me.